Once again I am sending my voice to all Nations upon Mother Earth, those who can hear my sincerity with their hearts - - unite together at our Sacred Sites creating an energy shift of a great healing on this June 21st. We need to see and listen to the wamakaska (the animals) who are more than ever now showing their sacred color of white, there are so many. This color represents the direction of when physical life now goes into the spirit journey. They are trying to warn us to pay attention to our responsibilities as a Global Nation. In order to protect the remaining sacredness that is trying to survive upon Mother Earth, which includes even our own children, we now have no choice but to unify and make positive decisions together. He asks that everyone go to their own sacred site or place of faith on this day to join together to pray for healing of the world’s sacred waters. 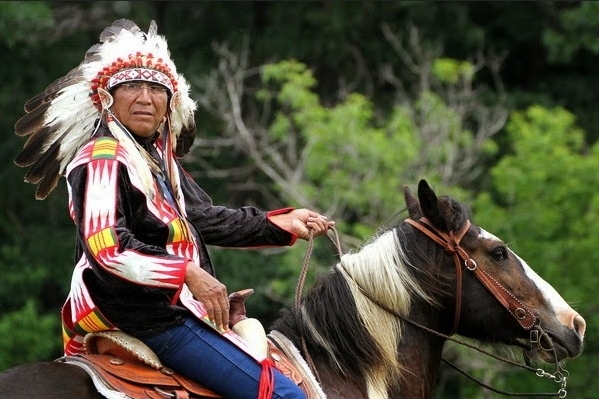 Looking Horse says many changes have occurred for his people over the past 100 years. He explains the Sioux people have three dialects Lakota (spoken in Nebraska), Dakota (spoken primarily in North and South Dakota), and Nakota (spoken in Minnesota, Wisconsin and Canada). He says a decade ago, a white buffalo calf was born in Janesville, Wisconsin, signaling turbulent times. According to the National Bison Association, the odds of having a white buffalo are one in millions. He’s thankful that his people are able to legally pray and conduct their ceremonies for the health of their future generations. 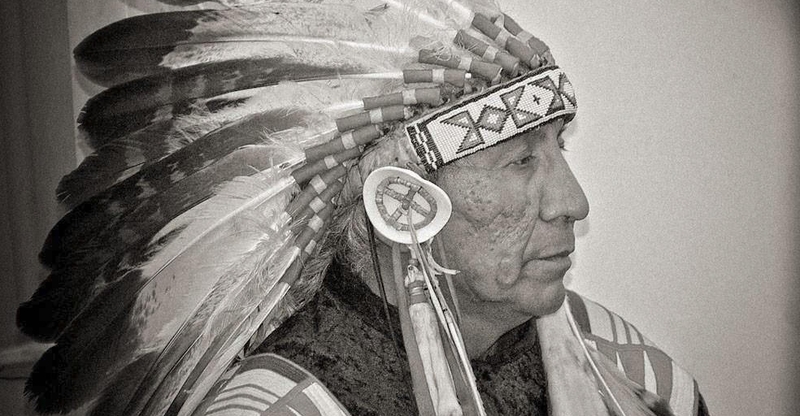 He considers the fact that many are becoming Christian on the reservation positive, because more people are praying. 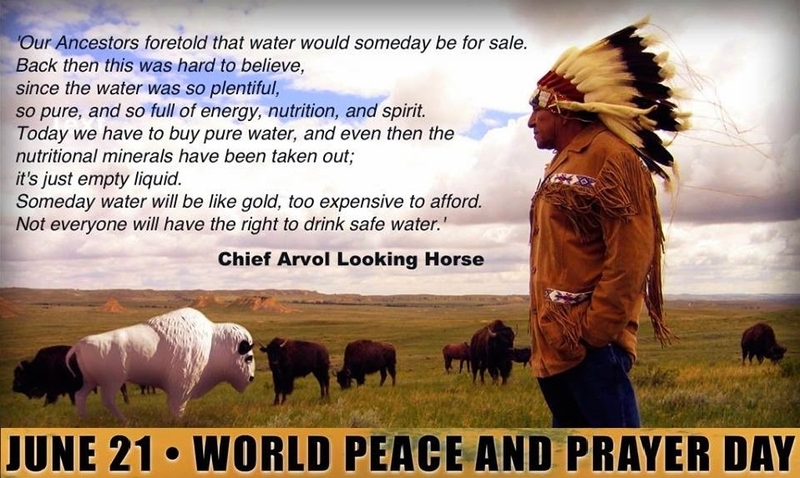 Responses to "Message From Chief Arvol Looking Horse for World Peace and Prayer Day"